Moooh - High-class farm life! 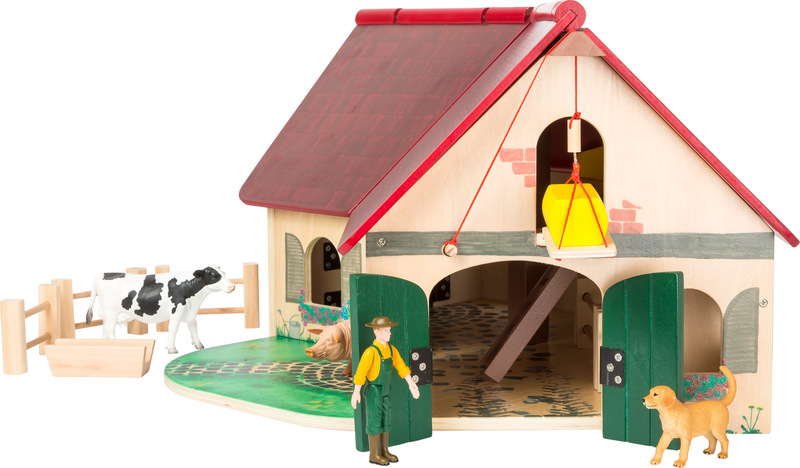 This large play world made of FSC® 100%-certified wood fulfills young farmers´ every wish. 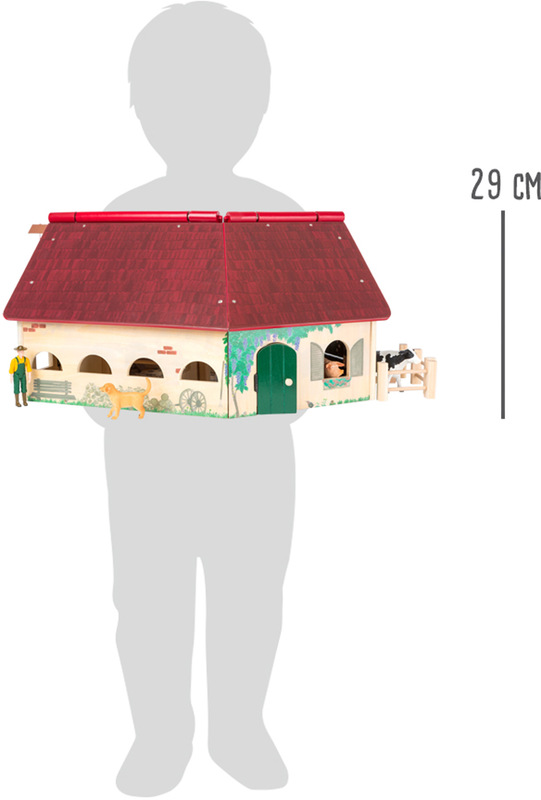 And here´s the special charm: the stable wooden construction of the farm is arranged in a remarkable angled shape and equipped with a openable roof, allowing the farm to be easily and comfortable played with. The animals with a child-friendly design really light up the eyes of children. The black-and-white spotted cow and the pink pig will find their cozy spot inside two boxes in the stable with sliding doors. The farm dog keeps an eye on everything while the farmer gets the hayloft in order. He uses the movable hoist to stack hay and straw bales over and over again so that all animals are guaranteed to get their share. 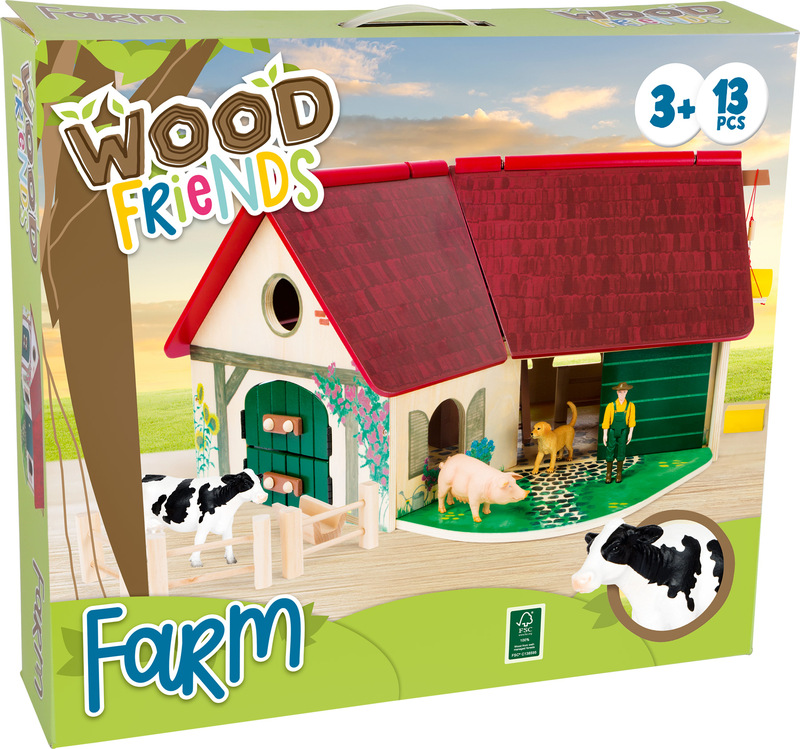 The lovingly detailed design of this farm encourages children to do realistic role-playing - and the sky is the limit for their fantasies. 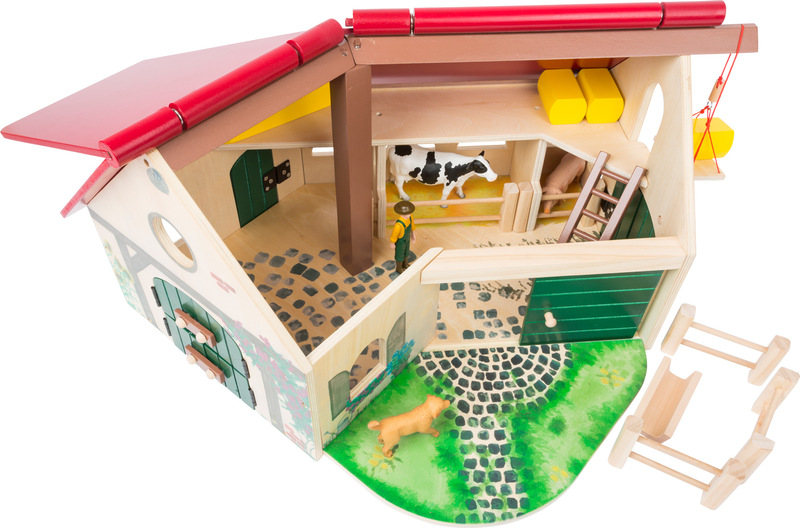 The farm´s divided doors offer so much space that the tractor (product no. 11006) can easily drive through to park inside. There are many fine painted details for young explorers to discover around the farm, such as flowers, a bench, a watering can, a bird´s nest and even a mouse. It´s almost like being on a real farm! 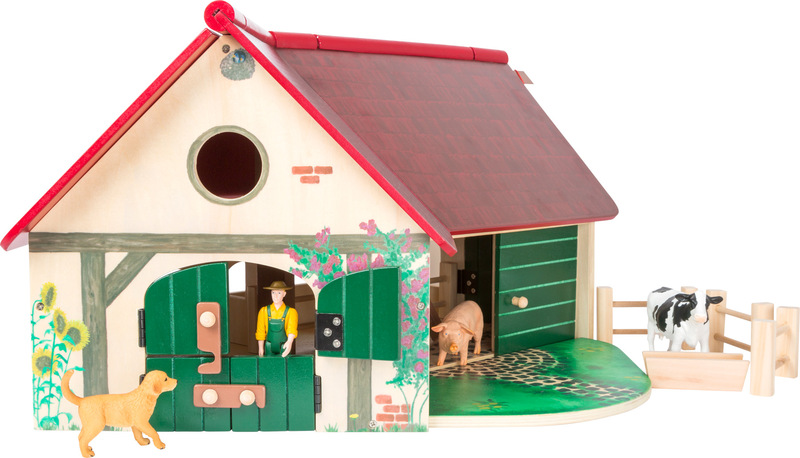 The dog, the cow, the pig, the farmer and the hay bales are included.